A team of researchers at Microsoft has found that for physical stimulation techniques to work as hoped in virtual reality applications, the user needs to be shown the source of the stimulation. If they are not the group notes in their Focus paper published in Science Robotics, they may actually feel less immersed. Virtual reality games are more immersive than games displayed on a video screen. But researchers have not been standing still; they want to make the experience even more immersive by adding other elements such as physical sensations in the hand when players touch objects, or the smells of cooking or burning. In short, they want to add all of our senses to the experience. One of the ways that researchers have been looking to add sensory experiences is via slight vibrations of game controllers. Subtle vibrations, it has been noted, can give a sense of reality to an object such as a gun, or even a stick—a mechanism known as haptic feedback. But the researchers at Microsoft have found that it is not enough simply to vibrate an object—the user must see the source of the sensation to experience immersion. 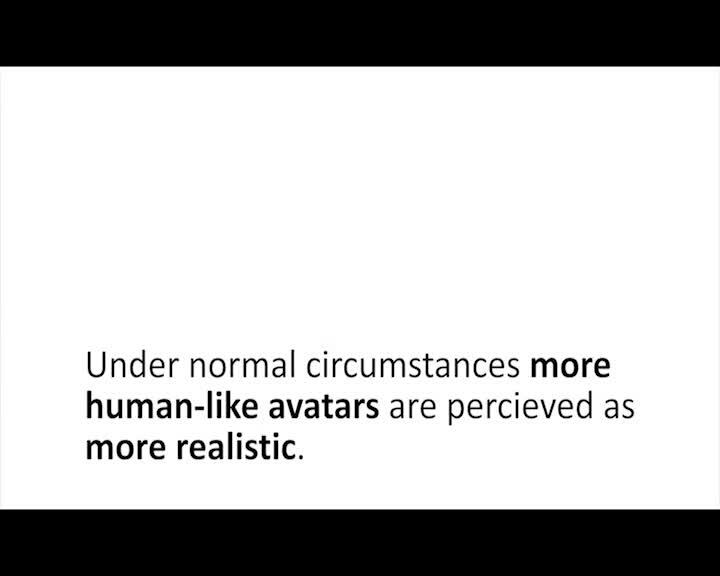 The researchers compare what they have found to another type of simulated reality—robots that look like humans. Researchers have found that as robots increasingly resemble humans, people experience feelings similar to those produced by actual human contact—but only up to a certain point. If the humanness of a robot reaches past that point, people often experience what has been called "the uncanny valley," in which the illusion is apparent, and the robot looks like nothing more than a collection of mechanical parts. 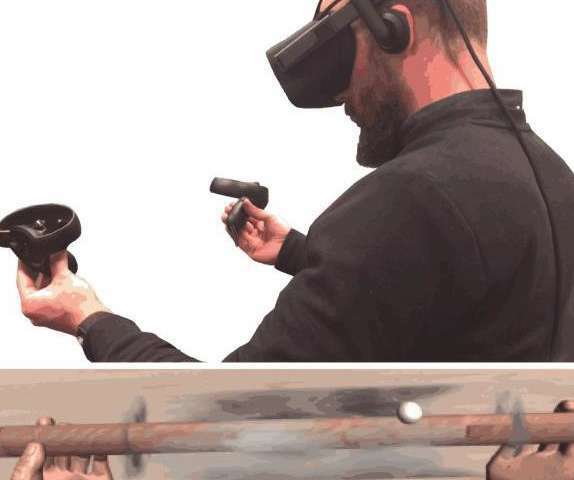 To reach their conclusions, the team at Microsoft studied volunteers wearing VR headsets and controllers interacting in a controlled virtual environment. The controllers were wooden dowels equipped with vibrating elements. The controllers allowed for tunneling, in which the vibrations make it seem to the user that the controller is being touched in different places. The team tested the immersiveness of the controller by modifying when and where the vibrations occurred and found that the best sensations occurred only when a virtual object was shown touching the controller, giving the user an explanation for the sensations they were feeling.